You've got to be nuts obstacle on the maze! By staying in it I guess. I think if they would lift slightly then they would come over backwards. Trust me I know how to roll them. from that angle it must not be as steep as it looks. i thought the guy was going to back up, hammer down, and jump to the top. Ill just be the camera man !!! I'm with moto must be a camera trick making it look worse then it is, I am sure it is steep but not as steep as it looks.. If he had more momentum I may have believed it but not going that slow.. It can't be as steep as it looks. To me he made it up easier than I thought he would just from looking at the beginning pic before the video started. But... I doubt I would try that!!! I agree but I think the reason it looks so steep is they have the camera a long ways from climb and have it zoomed way in. 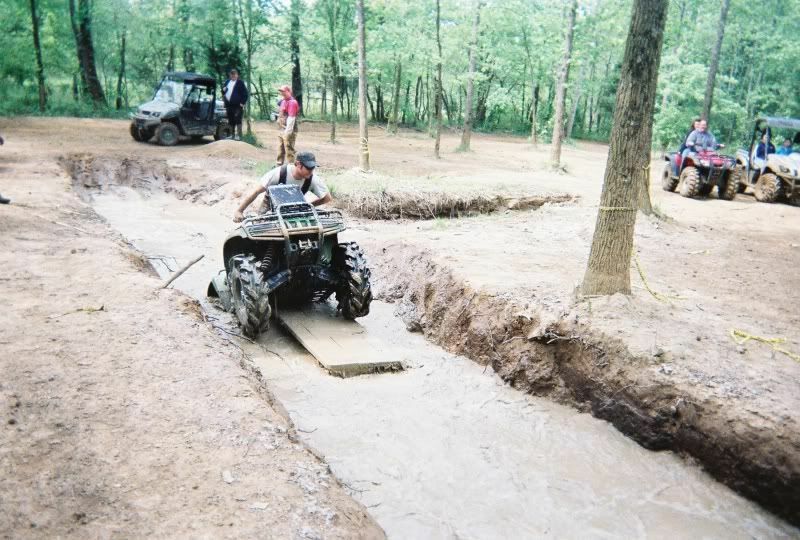 If the camera is on level ground and looking strait at the obstacle (not up or down) it will look steeper. When we ride the camera is up close and either looking up or down at the bike so it doesn't look as steep, not sure but I would think this is the case. Subject: Re: You've got to be nuts obstacle on the maze!